I was thinking this morning.... about expectant preparations for a new season. 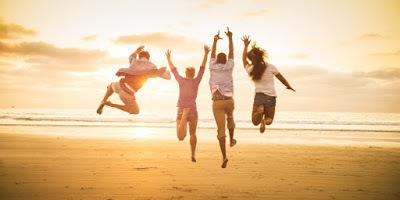 Yes, a few person expectantly prepare for the next day, many prepare for the next month (with Happy New Month now becoming a common saying), and almost everyone expectantly prepare for the next year. 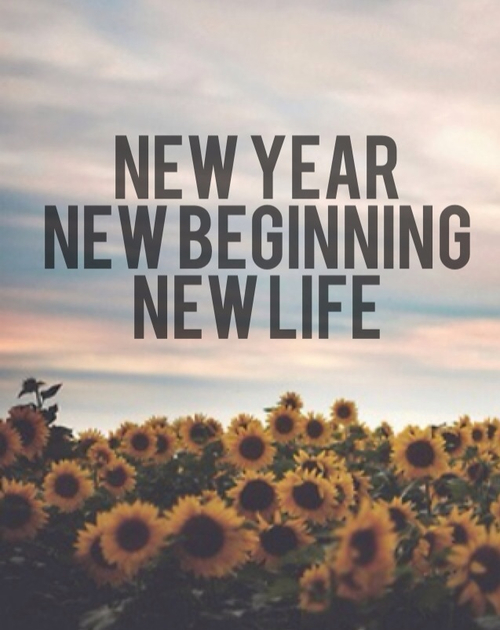 However, I am not sure many expectantly prepare for the next life, like we do for a new year. I was on my way to the airport last Thursday heading to Lagos in preparation for the New Year holidays, when I got a message on Facebook asking me to check the Facebook page of a friend and former University classmate. Immediately I knew something was wrong. I checked but couldn't find him anymore amongst my friends. I reverted to our common classmate that sent the alert and he dropped the bombshell that our friend had passed on. How could he have gone so suddenly? Was he sick? Was he in an accident? So many questions flooded my head in my confused state. I later confirmed that he had taken his son for a soccer match and decided to join the son for warm up exercise before the game begins. While they were on it, he fell to the ground and by the time the medic arrived, he was confirmed dead. What a life? There was no expectant preparation. While I was saddened by the loss of my friend who usually ensured that I enjoyed my stay whenever I was in London, his sudden transition got me thinking. How come tonight, the last day in 2017, millions around the world will gather in churches for a crossover service that will usher in the new year, and billions more will gather around fire works at city centres and television sets for the count down to 2018, yet the most important transition from mortality to immortality is unheralded? In recent years many people close to me had made this transition without any idea of the crossover. 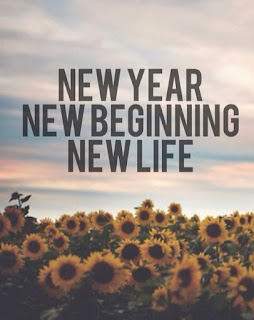 As we wake up tomorrow to a new day, new month and new year, everyone you meet will tell you 'Happy New Year,' but my heart skips a beat when I remember that no one is telling our loved ones that had transited, 'Happy New Life.' Yes the bible teaches that innumerable company of angels and saints are on hand to welcome saint that sleeps, but those of us on this side of the divide have hardly had the opportunity to wish them 'Happy New Life' like we do at the beginning of each year. I also understand that just like wishing someone a happy new year does not translate to the person being happy through the year, so also saying 'Happy New Life' is only but a prayer, believing that the person had done the right thing as a mortal to be happy in immortality. ....Just the thoughts of a certain Wey Mey. 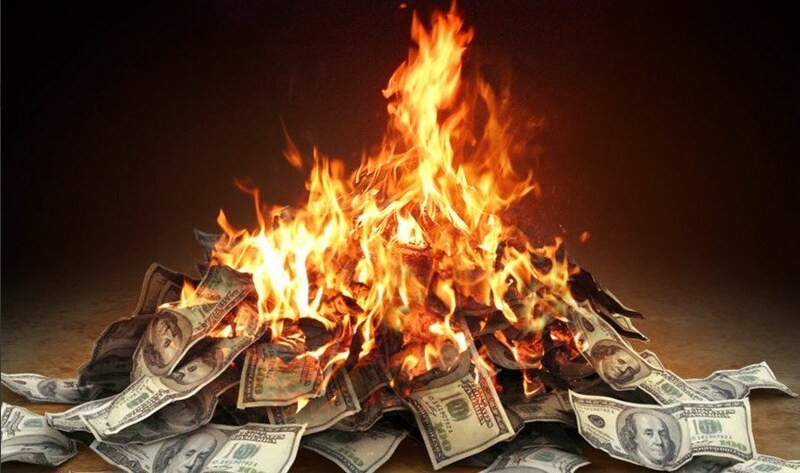 Burning Cash or Growing Cash? I was thinking this morning.... about what I have done with cash this year. It is common In Warri to hear someone tell a spendthrift, 'see how you dey burn cash!' That statement came alive a couple of Sundays back in church when a young lady came forward to give a testimony of how she and her colleagues were in the office during the week and they perceived the smell of something burning. On investigating the source of the smell, she found out the sixteen million naira (N16m) cash placed in her custody was on fire. She concluded by thanking God that only two hundred thousand naira got burnt. Don't ask me what ignited the cash because she didn't say, but the testimony got me thinking. How much cash have I burnt recently? It occurred to me that when you are blessed with cash, you can either grow or burn the cash. When you invest your genuinely earned money sensibly and help the needy, you are growing cash, but when you misuse or mishandle money, you are burning cash. The year is ending and many cannot account for all the money that had come their way this year. While many had burnt their money on frivolities, a few had literally set theirs on fire by storing large amount of cash at home or in the office. But in any way you look at it, 'poor man no dey burn cash.' You must be rich to spend N10m clubbing in one night or keep N16m cash in a building that is not a bank. Oh we really burn cash in this nation. Imagine Rochas Okorocha spending scarce cash to build statues in a State where salaries are owed civil servants. He is burning cash. Then, Governor Wike spent about N720m on 16 Land Cruisers for the State's representatives at the National Assembly, when salaries are owed pensioners. He is burning cash. The past government withdrew $2 billion to fight Boko Haram and this government has approved the withdrawal of another $1 billion to fight a Boko Haram that has supposedly been defeated. Remember that $1b of today (converted to naira) is equivalent to $2b of 2014. They are burning cash. I was thinking this morning..... about the happiness of this season. Where I sat reflecting on my plans for the end of the year, my mind was inditing the reason why this season oozes the fragrance of happiness. Could it be because of the fog and harmattan haze we wake up to behold each morning or the almost synchronized sessions of year end appraisals going on in most organizations, giving the feeling of relief from the year long frenzy of tasks? I am suspecting that it is the sights and sounds of Christmas carols and season greetings that is softly dropping the happiness in the air like black soot in Port Harcourt. Whatever the origin of the happiness, it is sure a good feeling. It was this smile I had on my lips when I read the news of Owelle Rochas Okorocha appointing his sister as 'Commissioner for Happiness and Couples' Fulfilment." My smile immediately exploded into laughter. What a joke! While I understand that happiness is a very important feeling, in the serious business of governance, methinks it cannot be a ministry for which you appoint a commissioner. Think about it. 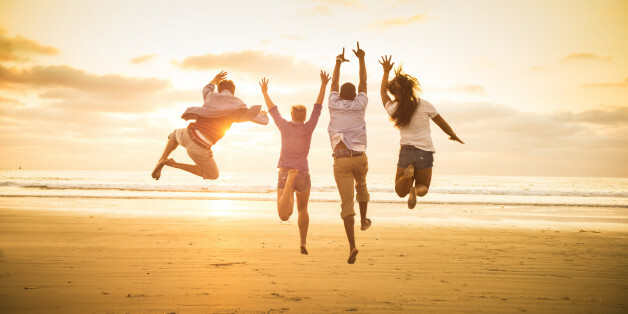 How can you measure the success of the Commissioner for Happiness and Couples' Fulfilment? Is it the number of citizens smiling daily or the number of couples blessed with the fruit of the womb that year? Since most couples will feel unfulfilled if they don't have children, will the commissioner be assisting them to make babies? Following widespread criticism, the State has come out to blame printers devil, clarifying that the Ministry is that of 'Happiness and Purpose Fulfilment' and not 'Couples Fulfilment.' Dem try! I am really thinking, assuming we have successfully dealt with tangible issues like roads, housing, finance, health care etc. and wish to move into the intangibles, I believe there are more important portfolios to assign like Commissioner for Joy and Gladness, Commissioner for Patriotism, Commissioner for Love and Commissioner for Freedom from Corruption. And if they really want to care end-to-end, they should also appoint a Commissioner for Burial Ceremonies. Though the outcry against the governor was massive, a cursory review of recent happenings in Imo state seems to justify the move. With multiple buildings collapsing, several incidents of fire and explosions and a botched presentation of the 2018 budget, the people surely will not be in a happy mood this season. Hence, the Commissioner for Happiness to the rescue. Na wa o! .......Just the thoughts of a certain Wey Mey. I was thinking this morning.... about the jungle we live in and snakes. I read the headline in The Guardian Newspaper titled '91 deaths in three weeks from snakebites, and unavailability of anti-snake venom annoy senators.' 'Like seriously? Why are they annoyed? Na today snake don dey bite Nigerians?' These and many other questions flushed through my mind as I read the news article. Yes, I know that there are snakes in Nigeria and I know of one or two persons bitten by snakes while growing up, but have never heard of 91 people dying of snake bite in 21 days. No, not even in the Amazon forest where anaconda is king. It seems while we were busy chasing shadows, wild animals have overtaken our land. Anyone reading that headline outside of Nigeria, will surely conclude that we are living in the jungle. How sad! Maybe we are truly living in a jungle in the midst of wild animals. I suspect there are anacondas, vipers and rattle snakes in this our jungle and it must be these venomous snakes that are scaring Nigerians to death within and outside the shores of the nation. 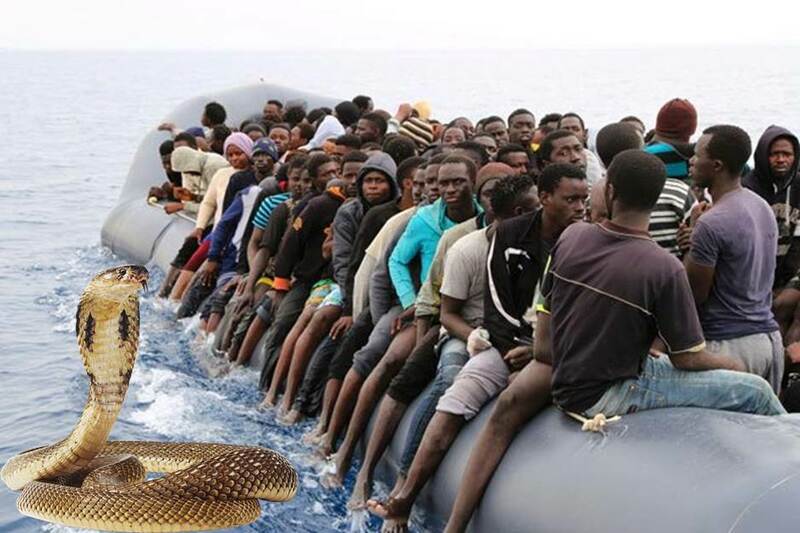 Yes, it must have been snakes that scared those 26 Nigerians girls from their homes to make that perilous journey through the Mediterranean sea to Italy, but unfortunately died in the ship and were buried like savages in a strange land. It must be the fear of snakes at homes. Snakes are creepy and scary animals. It must be the fear of snakes at home that will make able-bodied Nigerians to choose the indignity of being sold as slaves in Libya, rather than stay back and work for a living. They probably said, like a typical Waffarian, 'I rather die.' Imagine my horror watching the CNN investigative report, not Kunta Kinte movie, with a salesman in camouflage gear saying, 'Does anybody need a digger? This is a digger, a big strong man, he'll dig, what am I bid, what am I bid?' Oh it must be the fear of snakes at home that will make them prefer to be in cages in Libya. How can our senators be angry about these venomous reptiles biting Nigerians and be blind to the thousands that have died from economic, political and religious snakebites? As I dwelt on the thought, I realized truly that Nigeria is a huge farm of snakes. If you have seen that movie, 'Snakes on a Plane,' then you will understand the jungle we live in. Truth is there will always be snakes around us, so what we need do is wade them off and have snake anti-venom available. But where is the good governance that will keep the snakes at bay and the social security that will neutralize the poison should we be bitten? Not available in Nigeria. I will therefore not depend on these leaders to protect me from snakes, but will rather hold on to Luke 10:19 that says 'Behold, I give unto you power to tread on serpents and scorpions, and over all the power of the enemy: and nothing shall by any means hurt you. May God deliver us from human and real snakes.